From time to time, here at ECommerce4IM we like to bring attention to some, what we consider, useful or exceptional methods to improve your online marketing strategies. Web marketing using ClickFunnels can be the answer to taking your sales and converting traffic to the next level. 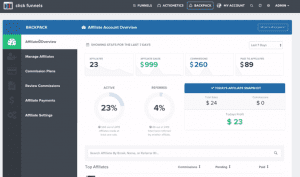 If you are looking for a tool to increase your online sales and revenue ClickFunnels comes highly recommended. The software allows you to start selling online quickly and with minimal work; it’s quite remarkable. You can choose from a large selection of professionally designed templates and they come with easy to use editing tools so you can create the funnel that best fits your business. The vast majority of the “heavy lifting” is done for you so you can concentrate on moving the elements around to suit your needs. Everything you need for Webinar Funnels, Product Launch Funnels, Sales Video Funnels and even Landing Pages, Squeeze Pages and 2-Step Funnels are all at your fingertips. 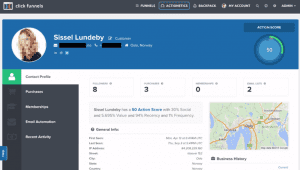 Even autoresponders can be handled within your ClickFunnels account. Additionally, you can add headlines, pictures, videos, sign-ups and subscription forms from the main dashboard. It doesn’t take long to learn how to set up your sales funnels and start publishing them online. The interface is intuitive and easy to grasp so the learning curve is fairly shallow. One of the most useful and beneficial features ClickFunnels offers is the ability to integrate your shopping cart software. It conveniently incorporates into payment gateways and merchant accounts. This is one of the features we like most and we offer a one-of-kind, one on one support in regards to your integration needs. 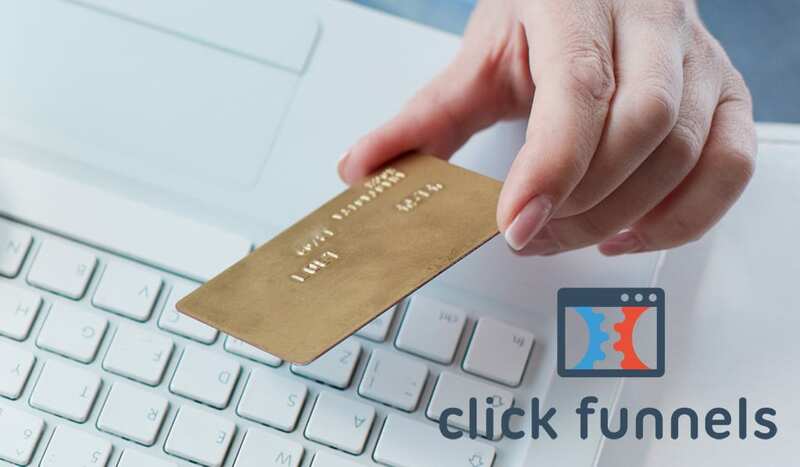 We are experts with providing merchant account and payment gateway services to ClickFunnels users. Some recent features have also been added that look truly amazing. 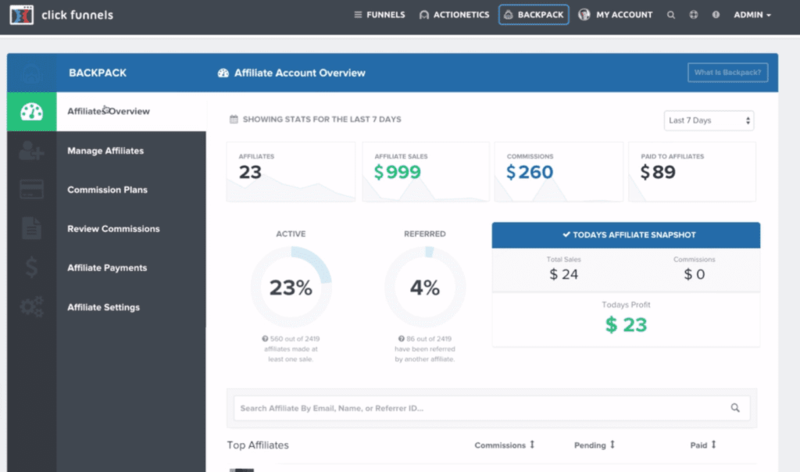 The first of which is Backpack – an affiliate management platform that allows you to set up commission plans, track affiliate sales and handle affiliate payments. Ecommerce4IM can help with the details of making Backpack integrate with a payment gateway and processor for your affiliate sales. Additionally, we can also help you obtain a special high risk merchant account especially for this industry. Secondly, Actionetics is a remarkable feature that allows you to collect analytics on all website customers and visitors. Not only does this tool collect the data, it also arranges the data into easy to view but detailed profiles for each visitor. Essential information such as email, social media profiles, followers, income and buying habits are collected an organized within the system. Using this data you can create different funnel sequences based on customer demographics and customize them accordingly. So, it is possible that you can be just minutes away from creating your own professionally designed website funnel. This can be done from scratch and is easy to set up. 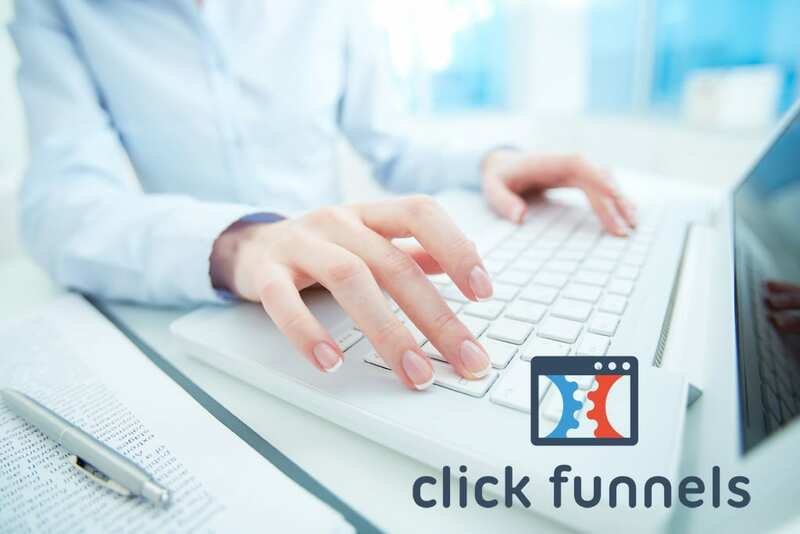 Consider web marketing using ClickFunnels, it can grow your business like never before.